Rockfall happening on eroded mountain slopes. Seaward Kaikoura Ranges. 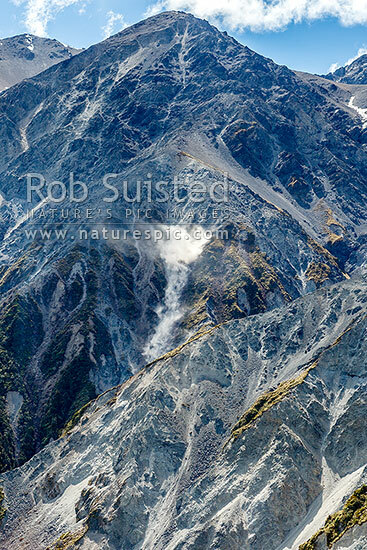 Rock dust and debris lifted by falling rocks, Hapuku River, Kaikoura District, Canterbury Region, New Zealand (NZ), stock photo.